October 18, 2011 Adri H.
Complete Instructions: Work to 1 stitch before marked stitch. 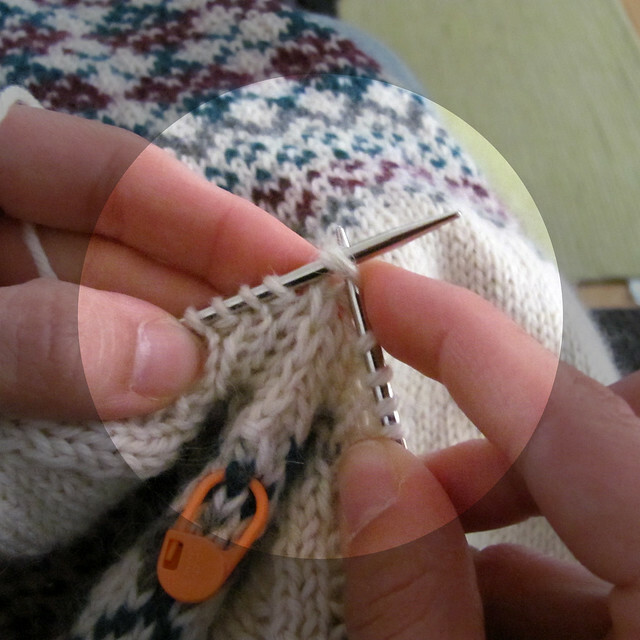 Slip the next 2 stitches together as if to work a K2tog. 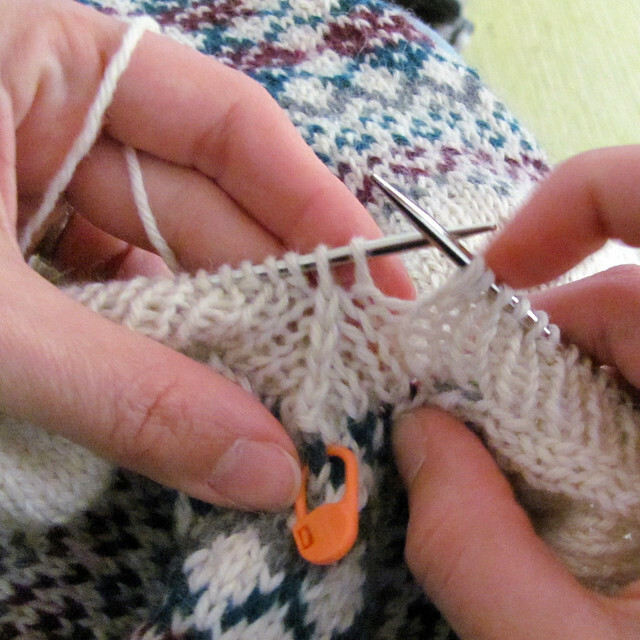 Knit the next stitch on the working needle. Pass the 2 slipped stitches over the knit stitch. 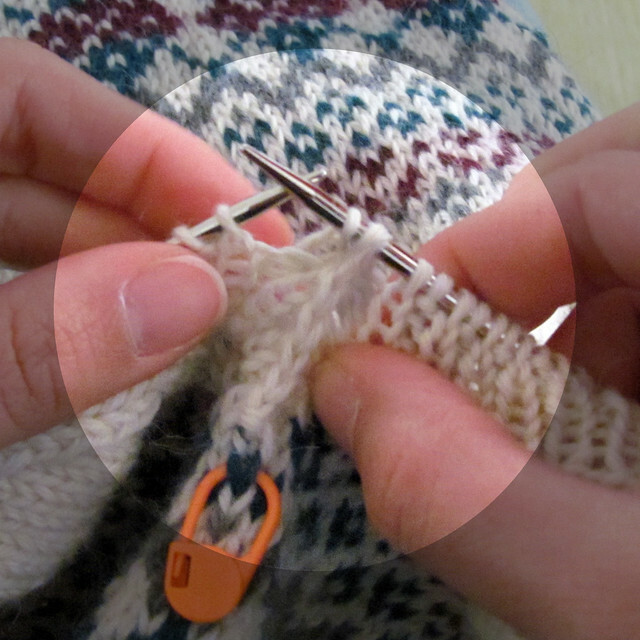 Step 1: Work to 1 st before marked stitch. Step 2: Slip next stitch plus center stitch as if to knit them together (K2tog), but don't actually knit them together. 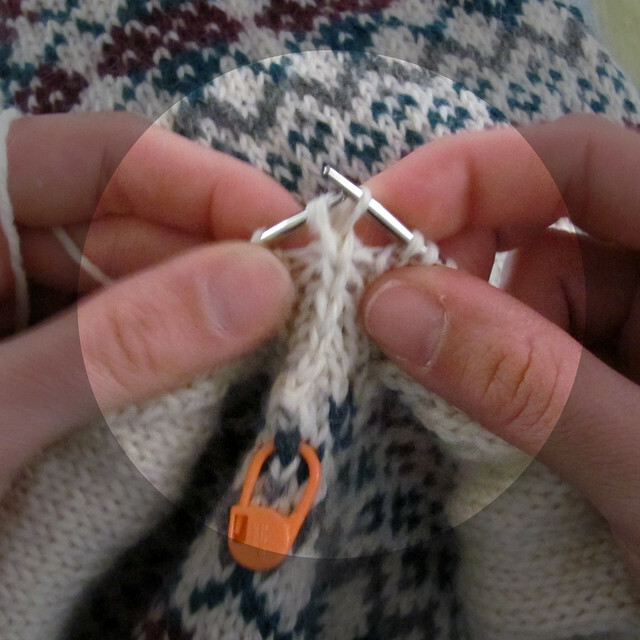 Step 3: Knit the next stitch available on the working needle. 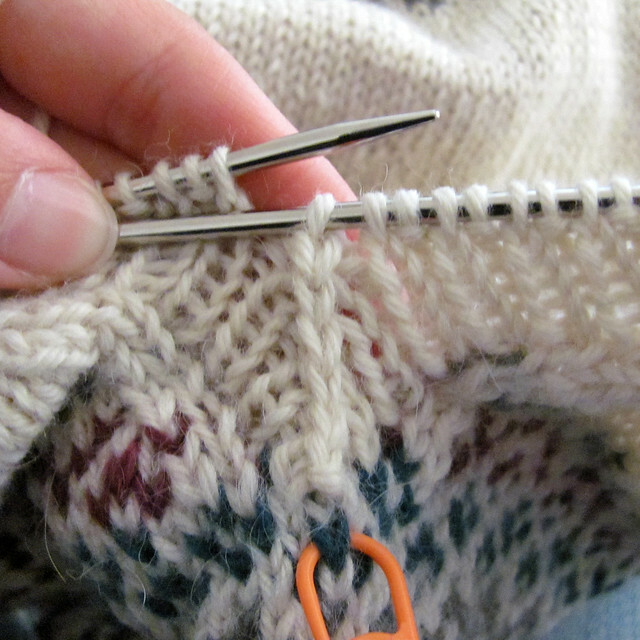 Step 4: Slip the 2 slipped stitches over the just-knitted stitch. Step 5: Voilà! You have a centered double decrease (also abbreviated as CDD)!